The underlying principle when it comes to feeding is not which method you use to feed your baby, but that the choice is right for you both. Let’s start by discussing the two methods, breast- or bottle feeding, available for feeding your child. Breast milk doesn’t cost anything! If breastfeeding doesn’t come naturally to you, and you are starting to feel rather desperate, remember that it takes up to six weeks to establish a feeding routine and corresponding milk supply. However, if your struggle with breastfeeding starts to affect your mood and bonding with your baby or relationship with your partner, stress you out or cause depression, it may be time to reconsider your options. By getting in tune with your baby’s senses, you can meet her needs and avoid unnecessary fussing and crying. You’ll also have a more relaxed baby, whose needs are met. “From the moment you lift your baby into your arms and throughout the feed, each one of his senses will be stimulated. Follow these sensory guidelines to make feeding time a soothing sensory experience for both of you. Reciprocate your baby’s sensory signals. If she looks at you, return eye contact, but look away when she looks away to allow her ‘sensory space’ to focus on feeding. If you have made the decision to start feeding your baby formula, or have been forced to do so because of medication you are taking or a return to work, rest assured that with today’s wide choice of milk formulas… you can ensure that your baby will be well fed. Infant formulas today are highly advanced and are available as hypo-allergenic, lactose-free, cow’s milk protein-free, anti-reflux, soya bean protein feeds and pre-acidified – among others! Ask your paediatrician or clinic sister to help you choose. Follow these guides for successful bottle feeding. 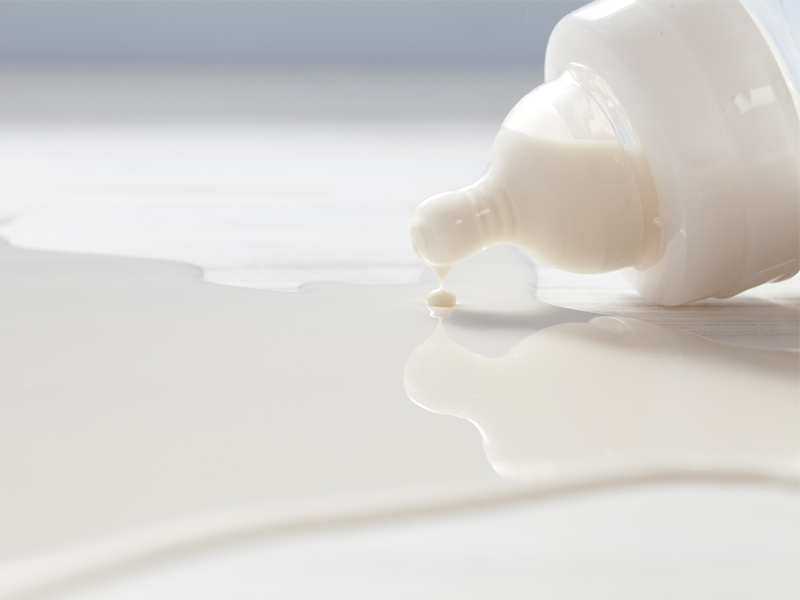 It may take a few formula changes before you find the one that is best for your baby. Try a new formula for at least 48 hours before changing to another. Follow the manufacturers preparation instructions perfectly. Sterilise all your bottles and teats. 5 x 150 = 750ml / 6 = 125ml per feed. Your baby will experience growth spurts at around two weeks, six to eight weeks, and 12 to 14 weeks. These spurts will last for 24 to 48 hours, during which time they’ll be grumpy, restless and feed more often. Once you’ve ruled out other factors, just feed your little one more and know that it will soon pass. This entry was posted in Baby, Feeding. Bookmark the permalink.